Time to pack your bags and get a move on to the car for your vacation! But wait, your hamster! Where will your little buddy go? First off, you need to buy some extra food, bedding, and treats if this is a few days or longer vacation. Be sure you change his cage a day or so before you leave. This will give the hamster some time to adjust to the new bedding, and clean toys; and will also give you the relief of no dirty stinky cage. 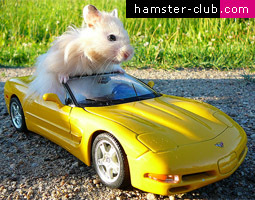 Packing your hamster will be a little difficult if your car is boarding a full house. 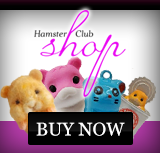 Do not place your hamster�s cage on top of all the luggage. If you were to slam on your brakes, the cage would fling forward and not only hurt your hamster but possibly smack you or someone else in the back of the head. A safe place in a loaded car could be on the floorboard in the backseat; or perhaps in a mature person(s) lap. Check up on your hamster. Make sure he is still doing okay. 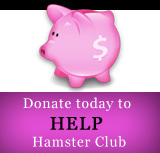 Does your hamster need more food or water? Is your hamster a bit nervous? If you feel your hamster is nervous or frightened, open his cage; follow procedures of allowing your hamster to come to you, and give him a little treat to calm his nerves. If you are planning on staying in a hotel/motel, be sure to ask the manager if it is all right that your hamster is allowed in the room with you. Please do not leave your hamster in the car, this could cause him to grow nervous since he is not around you and there are too many new smells for him. Make sure when you travel with your hamster, you take him seriously; he may not be a human but he is still living. A SHORT NOTE FROM HAMSTER CLUB : Providing the hamster with some vegetables can help your hamster not to dehydrate during the trip since a water bottle can leak during driving.